Microsoft has released a new Feedback hub app update for Windows 10 PC and Mobile devices. 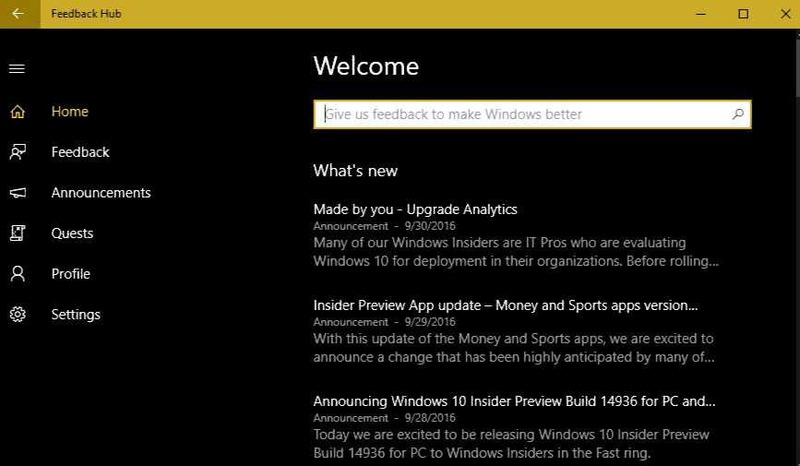 The latest Feedback hub app update 1.1608.2441.0 brings ‘Dark Mode’ to the app for Windows 10 Anniversary Update users. From the new Setting menu, you can select new Dark mode, along with light mode. The app also allows you to switch to the system theme automatically. Previously, Microsoft had released Feedback Hub update for Insiders on the Fast ring.